Kamloops, BC – The Kamloops Blazers have announced that the hockey club and Head Coach Serge Lajoie have mutually parted ways. Lajoie was the Head Coach of the Kamloops Blazers for the 2018-19 season. 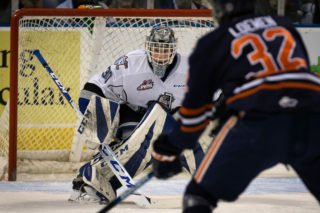 “I’d like to thank Matt and the Kamloops Blazers for the opportunity this past season and wish the team success in the future,” said Lajoie. The search for the next Head Coach of the Kamloops Blazers will begin immediately.